In the hierarchy of control, fall prevention is the highest form of protection. Fall prevention involves removing the risk to the worker by creating a barrier between them and the fall hazard. As industry leaders in fall prevention, Melbourne-based Sayfa offer tailored fall prevention systems which include products like guardrails, skylight protectors, safety gates and warning signs. Sayfa will also inspect your worksite to ensure it is compliant, assessing factors such as ensuring guardrails and walkways are stable, anchorages are secure and skylights are adequately protected. Fall prevention is the preferred method of fall protection as it requires the least amount of operator competence. This means that with minimal training, all workers and visitors to your premises are adequately protected. No individual training is required for your fall prevention system to be effective. 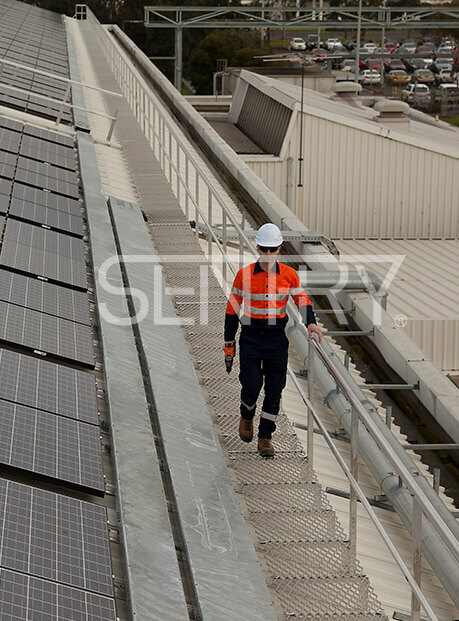 From height safety audits to equipment inspections, Sayfa is committed to ensuring your worksite safety, with all our solutions being compliant with Australian Standards, Codes and Legislation.